A lie not only deceives others, turning them into objects to be manipulated and used, but a lie erodes trust, the cement that holds communities and relationships together. Lies lead to cynicism. This cynicism spreads outward like a disease until it blights the landscape. If Hedges was found in a small matter to have further compounded his dishonesty, it makes you wonder about more important matters. Well, we hate to say we told you so. Chris Hedges, pseudo-revolutionary, fire-and-brimstone pacifist, and left-liberal personality cultist, was exposed as a plagiarist this month by some of his own former media comrades. In spite of his radical posturing, one capitalist pillar that Hedges has always refused to denounce is the Protestant work ethic, so it’s rather grotesque to find that that he makes a living ripping off lesser-known and harder-working journalists. The cancer of plagiarism runs deep; this appears to be a modus operandi that stretched over a decade, a decade that ironically saw Hedges crafting a reputation as the great moral absolutist of the left. Last year, we wrote that Hedges “represents a powerful network of liberal recuperators who have been undermining resistance in this country for years while claiming to promote it.” And, indeed, the network is circling its wagons around him, shamefully giving The Great Man a free pass on behavior that would’ve buried a less well-connected journalist. One of the more laughable claims we’ve seen from Hedges supporters is that there’s a government conspiracy against the writer because he brought a lawsuit against the feds for the National Defense Authorization Act of 2012. In reality, this was one of several ways he undercut the Occupy movement—in the midst of the most sustained wave of direct action the U.S. had seen in years, Hedges assisted in pushing activists “into the courts and out of the streets” ( to use Robert Kennedy’s description of his goal regarding black rioters and the Civil Rights Act of 1964). Predictably, the lawsuit was a failure. Given that Hedges is so intertwined with the left establishment that they will indulge in a cover-up on his behalf, it’s worth looking at just what kind of man they’re covering for. This is a reporter who, unwittingly or not, assisted Iraqi defectors, trained by the CIA, in lying the public into the Iraq War ; a “fearless investigative journalist” who refuses to investigate substantial charges of media censorship by the Lannan Foundation because billionaire Patrick Lannan is a friend of his ; an armchair revolutionary who dismissed the Black Panthers and the American Indian Movement as “parasites to popular protest”; And, as we’ve noted before, a blind ideologue who will falsify the history of classical anarchism—and more recently, of the Zapatistas—to promote his “nonviolent” agenda. As someone who worked in Zapatista communities for many years, my impression is that the people who make up the movement do not distinguish between the work they are doing in their communities and their military leadership; they see it as one integrated movement. 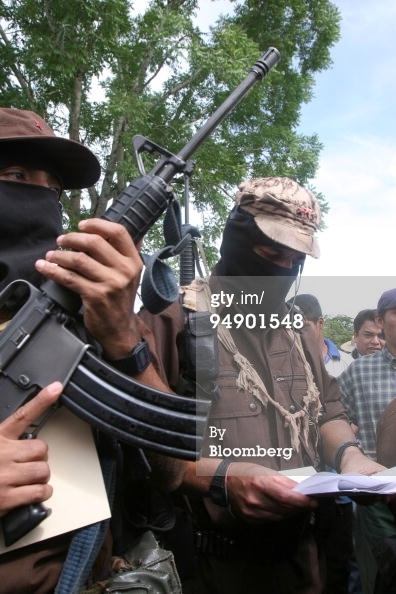 Because the military aspect of the Zapatista movement is the most clandestine, perhaps it is the least understood… But there is no denying that without its political-military character, in other words, without its initial commitment to armed struggle and its guerrilla army, the Zapatista movement would not be what it is, 15 years ago or today. Nothing that we’ve done, for better or for worse, would have been possible without an armed military, the Zapatista Army for National Liberation; without it we would not have risen up against the bad government exercising the right to legitimate violence. The violence of below in the face of the violence of above. 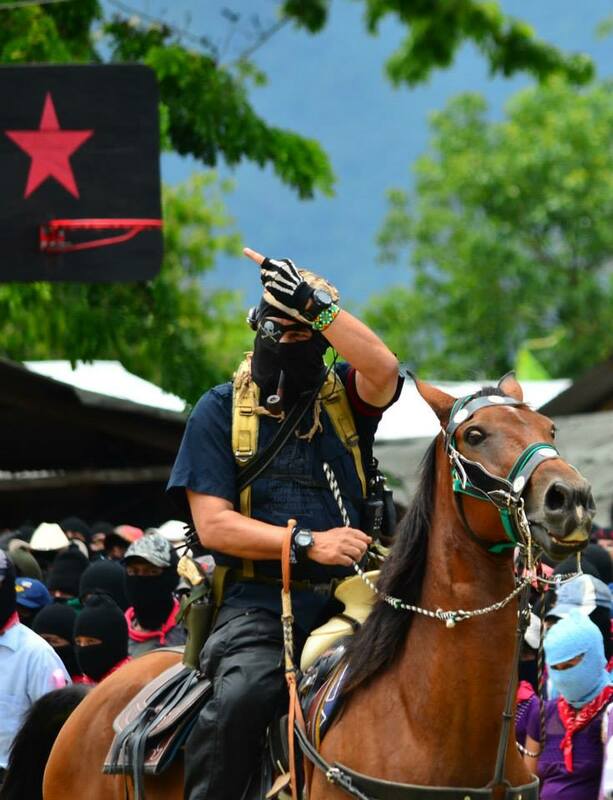 Diversity of tactics is about proportionate response, and that is what the EZLN practice; the US government—the power behind the corporations, the Mexican army, and the right-wing paramilitaries—has decreed “low-intensity conflict” as the strategy in Chiapas; thus the Zapatistas keep their responses low-intensity as well, but not, as Hedges would demand, no-intensity. And so the ball sits in the Empire’s court; the EZLN is never willing, but always ready, to go to war.